Have fun in Brooklyn this Christmas. You can see huge Christmas trees, catch a performance of a holiday classic, and shop for gifts your loved ones won't see in the malls. 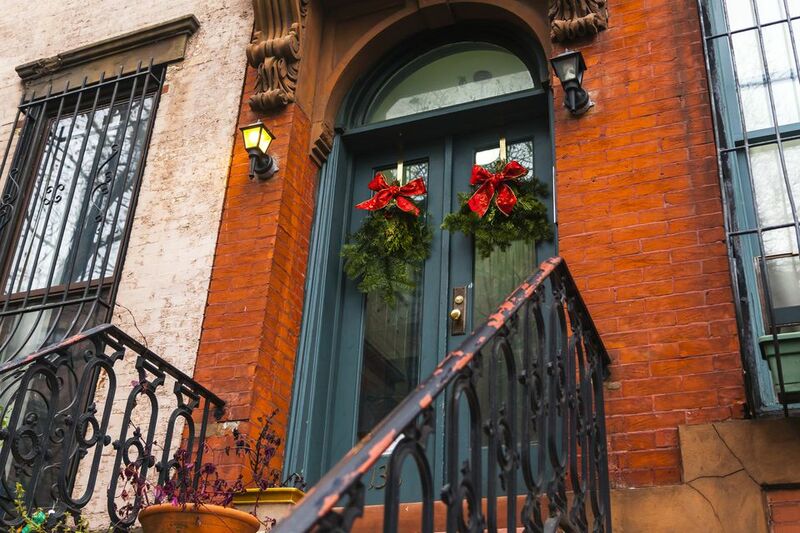 Relax in Brooklyn's less congested, more human-paced environment during this busy holiday season. Here are some nice events to consider this Christmas season. Some celebrations and events are very traditional and others rather avant-garde but all will brighten your holiday season. Don't miss this over-the-top neighborhood display of Christmas lights in the tiny, close-knit Italian neighborhood of Dyker Heights. It's a Brooklyn tradition. Not only are the area's displays beautiful, but the experience is also fun, memorable, and really worth a visit, especially if you get excited about Christmas festivities, love folk art, and have little kids in tow. Local residents have fun trying to outdo one another the Christmas light decorations. It is estimated more than 100,000 tourists come to see this neighborhood outpouring of creativity and fun, as light displays spill over their homes, roofs, and gardens. You can skip the big department stores, and shop locally in Brooklyn holiday markets. There's quite a variety. In Prospect Heights and Park Slope, local merchants have a special weekend or evening promotion during which mom-and-pop stores offer customers free wine or cookies, discounts on merchandise, and special bargains. You can get fabulous imported Scandinavian goods at a two-weekend market in Bay Ridge. Or, explore a few different vintage markets; the best known is the Brooklyn Flea in the Atlantic Center. There are artists all over Brooklyn, and many sell their wares at Christmas markets throughout December. You can find affordable gifts that are not mass-produced, not made in China, and not likely to be something you'll ever see in a mall. Christmas is a magical time for kids. Take them to child-friendly holiday fairs at Brooklyn schools, a sing-along or a low-key, fun Christmas show or puppet show right here in Brooklyn. giant snow globe and see the world's largest snowman. Next, they can slide down a giant inflatable slide. There's so much to do including a maker's market, live performances, time with Mr. and Mrs. Santa, and a giant menorah. From the mega-venue the Barclays Center to a little local puppet show, you can find really interesting holiday entertainment in Brooklyn. At the Barclays Center, you can enjoy performances like the Harlem Globetrotters and Disney on Ice in addition to regularly scheduled games. Celebrate the winter solstice and the first day of winter at one of many free, outdoor music-making celebrations. Make Music Winter invites New Yorkers to sing, play, dance and march their way across the streets, plazas, and parks in twelve participatory parades across all five boroughs. There's even an interactive opera brought to life in the picturesque setting of the Brooklyn Botanic Garden. Kwanzaa fun for all ages is celebrated at the Brooklyn Children's Museum. Kwanzaa was first celebrated in 1966 by Dr. Mualana Karenga who created the holiday to honor African heritage and African-American culture. Over five days of culture and fun, learn about this African-American holiday and explore Kwanzaa’s seven principles: unity; self-determination; collective work and responsibility; cooperative economics; purpose; faith; and creativity. On Sunday, November 25, 2018, from 1:00 p.m. to 3:00 p.m. learn how people got ready for winter in the 19th-century farming village of Flatbush. Learn how to make a candle, watch a master spinster spin wool thread, and enjoy Dutch treats made on the outdoor hearth. St. Nicholas will visit at 3:00 p.m. All this takes place at the Lefferts Historic House in Prospect Park. Celebrate the start of winter throughout the Brooklyn Botanic Garden with Make Music New York and the fifth iteration of a special participatory performance of Franz Schubert’s 1828 song cycle Winterreise (Winter Journey), created by Chris Herbert. Sinterklaas Day or St. Nicholas Day is going to be celebrated at Wyckoff Farmhouse Museum (in Fidler-Wyckoff House Park), in Brooklyn from 1:00 p.m.– 4:00 p.m. on December 1, 2018. Sip hot cider, play colonial games, meet St. Nicholas, decorate the tree for the tree lighting, and more the holidays are celebrated at NYC's oldest house. When in Brooklyn, this is always on a visitors' to-do list. Walk across the Brooklyn Bridge. It is one of New York City's great free sights and attractions and well worth the effort to cross. You can access the pedestrian walkway from Brooklyn at Tillary/Adams Streets or a staircase on Prospect St between Cadman Plaza East and West.